SANG stands for a new structuring of nationalities to form a World Government that will operate in a manner conducive to guaranteeing and maintaining Social Justice and Freedom for all of the world’s citizen with no exceptions. The term Self-Construct means that this government will use and maintain a progressive and benign philosophy of operations to initiate and construct new ideas for additional improvements over time in a fully self-correcting manner. The Co-Operacy part of this description stands for a global commitment to full Cooperation that maintains the Self-Construct aspect for all government and economic operations. The SANG Government description given here is only a suggested model for a new world government structure based upon a logical conclusion that could combine the best features of compassionate capitalism with the best features of alternate systems that guarantee social and economic justice into an all-encompassing alternative to every national government structure we have today. The top priority of this description would be to fully retain the human rights and freedoms of all citizens guaranteed by the U.S. Constitution and Bill of Rights, as well as suggesting additional considerations and interpretations to greatly expand basic freedoms and human rights while preserving guarantees of life, liberty and the pursuit of happiness. The intent is not to define an ideological and unachievable or unworkable fantasy, but rather to explore and invite new and similar ideas for setting in motion a logical and pre-planned comprehensive makeover towards a truly workable global system for every man, woman and child on the planet. The intent is to have it designed to give every citizen equal opportunities, equal rights and equal freedoms, with every person being considered of equal value irrespective of race, religion, gender, age, ethnic background or net worth in terms of wealth and status in the public eye. The key to transforming these ideas from the realm of unachievable fantasy to the basis of logical and feasible realities for our present global society rests in the logical construct of setting up small habitats for testing socioeconomic concepts in closed systems. Careful design, testing and documentation can then be logically expanded to larger systems for further testing. Using the results and success of various small system habitats as a springboard, the entire concept of a SANG Government linked with its related economic structuring known as the SANE Economy (see my website link for SANE Economy) can be tested on gradually expanding scales, including the increase in the number of new habitats around the world, and correspondingly the increase in extent of all the existing habitats. The bottom line would then be a logical and feasible makeover ultimately leading to a 100% transition for a global SANG Government and a corresponding global SANE Economy that would replace all existing forms of government and economic systems, combining the best features of each into a new and highly improved entity where everyone benefits. Other concepts that could work to the benefit of all humanity in a similar manner are welcome for comparison, and all comments pro and con are welcome. All I ask is for you (the reader) to have an open mind, and take the time to consider the entire SANG description along with the companion document on this website entitled SANE Economy before jumping to any conclusions regarding whether or not these ideas are workable. My logic says that these and similar ideas are workable and sustainable as long as enough citizens understand the intent and the value that a truly cooperative makeover of existing systems could operate indefinitely in a self-constructive and improving manner to everyone’s benefit. The following logic describes a completely arbitrary but sensible structure that the SANG Government could consist of on a global basis. The one (huge) favor I ask of my readers is that if you resonate with the general philosophy of the SANG and SANE descriptions given on this website and think it would benefit others if they heard and thought about them as concepts worthy of consideration, please pass it on to others. 1. 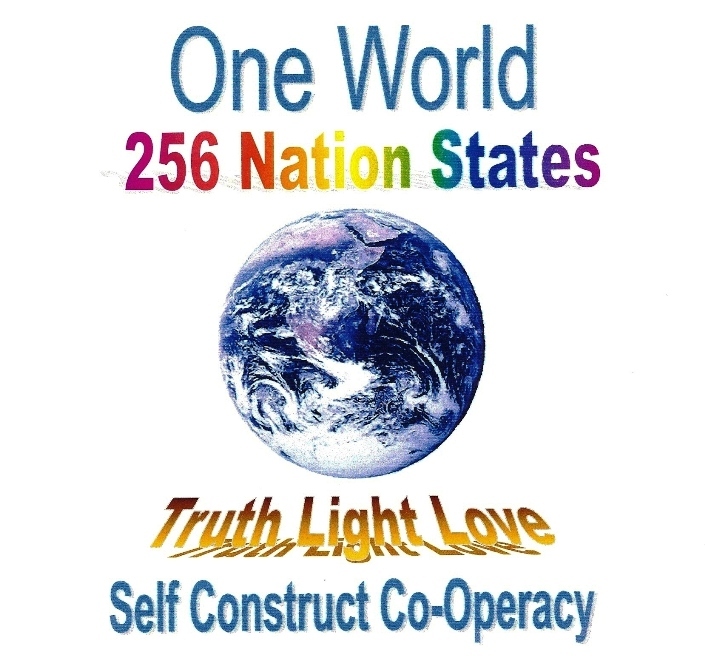 A Creation of 256 World Nation States out of the exising nations of the world. 2. A logical division of 16 Provinces within each Nation State analogous to existing states within countries. 3. Identification of a variable and logical number of Districts analogous to existing counties within each nation state. 4. A definition of the variable number of Localities (Cities and Towns) analogous to existing cities and towns within each nation state. 5. The creation of a new and separate Internet (in addition to the existing world wide web) to be designed and implemented known as UniNet for communication to and from the SANG Government facilities and SANE Economic organizations throughout, wherein all links are accessible to and accountable to every man, woman and child on the face of the planet. Basically, UniNet would have to be carefully designed and implemented into a truly hack proof and redundant global system (yes, that is theoretically and logically possible to attain – contrary to ALL negative attitudes to the contrary). 6. In lieu of existing Executive government offices such as President, Prime minister, Governors, etc., every office at every executive level of Nation States would have an Executive Branch consisting of 3 presiding officers called the Governorship, who would hold equal and redundant authority to execute decisions affecting their specific extent of population, and decided upon by that portion of world citizens through UniNet input. A similar structuring for executive governments at Province, District and Locality levels could also be set up for similar and efficient government operations. 7. All existing laws could be scrutinized for accountability to uphold the rights of every citizen, and could be retained or thrown out depending upon their value to the public at large. Most laws would be considered mandatory for obedience, but some laws would become non-mandatory advisories, and become discretionary suggestions and open for common sense interpretations whenever necessary. 8. In lieu of a conventional Legislative Branch of Government for each nation state, the Law-making Branch at each level of SANG government would simply consist of the redundant Global Database of Laws and Advisories existing at every level holding secure records and documentation created by the input of the voting public. It would be set up to allow every world citizen to have 24/7 UniNet access to review every piece of documented legislation, with the right to help decide directly what should be included or not included from the Bank of Existing Laws and Advisories at all levels relevant to each individual’s area of jurisdiction. 9. The Judicial Branch of government would consist of a greatly simplified structure using the Global Database of Laws and Advisories, with reference to all logical means of determining guilt or innocence, and employ judicial office holders that would refer to that part of the Database that would specify the determination of accountability for citizens’ actions with reference to all mandatory laws and advisories. There would be no need for the burdensome gridlock of existing courtroom technicalities, protocols and legalities, but in essence, would consist of a greatly simplified process to determine probability of guilt or innocence and sentencing using logical predetermined scenarios of law and accountability. All of this would depend upon a common sense philosophy to target true justice in every situation rather than being gridlocked by the preponderance of money influenced lawyers attempting to always win their case using technicalities and loopholes in their attempts to sidestep the real intent of justice in each case. The Basis of the entire SANG Government is to form a logical structuring at all levels of responsibility (local, state, national and global) that gives powerful incentives for everyone to cooperate for a self-improving system over time. As new information is assimilated pertaining to changing social, environmental and economic situations and conditions, adjustments can be automatically made using a fully secure and accountable computer technology via the use of UniNet. For a Global Self-Construct Co-Operacy Government to function properly, we would need a restructuring of national boundaries and jurisdictions into a viable network. I envision this new form of government to have jurisdiction over (say) 256 World Nation States that would completely eliminate all dictatorships and democracies that exist today. The idea behind the SANG concept is quite logical, and a natural and essential part of the formula for socio-economic changes whose time has come to insure success for a compassionate world society. There could be a pilot project that would test out the ramifications of SANE economics (see my page explaining SANE economics on this website), and the SANG government working together as a unified system on a small scale. Not only would all of the subsystems of SANE and SANG operations be documented in their test phases, but also the human element of how well differing sets of values, philosophies and lifestyles could be totally accounted for. To learn to cooperate and function successfully in a temporarily closed society would be a primary goal so that the principles creating that success could be evaluated for expansion to a complete global transformation. One possibility for the testing phases would be to set aside four years for just putting several biospheres together and training volunteers to thoroughly test all aspects of the support systems within the small closed network. Another four years could then involve the actual testing of all SANE and SANG subsystems working together for the biosphere participants. During that time, all members of the small habitat communities would be essentially cut off from the outside world to disallow compromise of the closed experiment. During the testing phases of SANE and SANG working together, there could be a comprehensive initiative for education aimed at the general populace to prepare them for the eventual implementation of a global network. If education is adequate, it would be logical to suspect that many thousands of citizens from all existing world nations would want to become the next volunteers in one of the follow-up projects. Done properly, this would allow for a slow growth and expansion of the original model communities, and provide for gradual expansion into a fully operational global network for SANE and SANG. That way, all traditional governments could eventually be put into a slow phase out mode, allowing for a corresponding phase in mode of the new world model and gradual replacement of existing nations with SANE and SANG structuring and operations. It would be quite logical to expect an eventual and complete phase out of all other forms of government and economic models including capitalism, traditional socialism and various forms of dictatorships including monarchies, plutocracies, oligarchies, etc. Without the SANE Economy and SANG Government restructuring in operation, conservative societies would continue to maintain their lack of trust and mind-set that the clash of cultures can never learn to work together and that radically new innovations of change always cost too much. It boggles the mind how the lack of vision of a relatively few can short-circuit the hopes and dreams of the masses to bring about the changes that would benefit everyone. It is their shortsightedness and stifling mindset for the need of secret cover-ups, profit and control that always prevent real change that the masses inherently know would benefit everyone. Right now, accountability for funds is paramount worldwide, but the accountability for spiritual values, actions and responsible behavior of the leaders?−That is another story! Another factor of existing economic and social malaise is simply inept government control. It comes into play every time any government gets heavy-handed and arrogantly imposes laws or sanctions whether they are truly sensible or not. Quite often government provides only band-aid or self-interest solutions to economic and social problems to appease the masses temporarily. For endless generations, frenzied competition has unfortunately allowed a relatively few to acquire most of the wealth to misuse economics to the detriment of the masses. And just like a massive blood clot in a living organism, moneyclot always degrades and eventually kills off many things that unrestricted money flow is supposed to nourish. Some progressives understand that Government should have only two basic functions. It should direct the policies already established by its citizens, and it should set up and enforce only the kind of laws that will uphold all the rights and freedoms guaranteed to everyone unconditionally. Any attempt to directly control economics, social mores or codes of morality is not the rightful business of any government. Rather, it is a government’s duty to protect citizen’s rights, incentives and motivation to pursue one’s personal choice of lifestyle. This includes the right to life, liberty and the pursuit of happiness without infringing upon the rights or freedoms of anyone else. The simplistic phrase “too much government” is not the problem. But inept government, irrespective of quantity, and the lack of proper education of the young are the real problems that become the chief hindrances to social and economic progress. The simplistic phrase “too much government” is based upon the deep-seated notion that no leader could ever be trusted. It is apparent that in general, the governments of nations create horrendous laws, bureaucracies and ordinances that act like sludge to discourage efficient free money flow. This in turn blocks efficient productivity and tends to wipe out all incentives to produce quality products. Many people then began to realize that working hard is no longer worth the effort. Over time, government erodes into favoring influential politicians and wealthy corporate heads at the expense of everyone else. In their mindless pursuit of self-interest alone, the privileged classes cleverly camouflage the real problems of moneyclot, profit motive, destructive competition, power to manipulate and control, and the ever-inefficient development and distribution of products and services. Economic problems are now so complex, that any spontaneous reaction proposing a solution seems to serve only as an ineffective band-aid treatment at best. It is now time for all of us to see the whole picture and get a proper perspective of the greater truth. Some progressives now understand that we can retain some of the workable aspects of capitalism, and still incorporate many ideas proven practical in compassionate socialistic forms of government. However, the number one priority obviously is to preserve and guarantee individual rights, freedoms and social justice so that a self-construct mechanism is put into place and not just the perpetuation of the opposite. To ultimately prove that SANE and SANG can work together successively, it seems quite logical to test the concepts behind the entire model of compassionate government and efficient economics with the aforementioned and temporarily closed modular systems on a small scale. The idea is to help forge a new movement that can permanently sustain a self-correcting influence, the inalienable rights of each individual, true social justice, and enduring economic freedom for every person on Earth. With this approach, a compassionate United World Government SANG > also dubbed as a Self-Construct Co-Operacy can be organized. This initiative includes the idea to eventually organize and set up what could become the officially recognized United World Government consisting of logically defined land divisions. In my aforementioned description, I use the arbitrarily chosen set of 256 (New) World Nation States, known as The United Nations of Earth (or alternately The United States of Earth). The UNE or USE would replace and encompass all existing national boundaries and be set up and redistricted in such a manner as to permanently maintain a self- correcting influence for progressive changes. These changes would logically and ultimately lead to an ever-improving quality of life for every man, woman and child on the face of the planet. Once it goes global, it would by definition be the New World Paradigm based upon the guarantee of Peace, Justice, Freedom, Truth, Light and Love for all humanity and for all existing life forms on the planet. SANG and SANE working together in a unified global system would be a New World Paradigm employing only Clean Energy Resources such as solar, wind, hydrogen, and zero point energy technologies that would completely sustain a pristine environment and forever banish the use of fossil fuel dependency. This new all-encompassing model uniting the makeover of economics and government can then be collectively called the Self-Construct Mechanism that would begin a gradual but sustained movement towards higher living standards, greater personal freedom, and reduced quantity, but more efficiency in government. It would have to become a viable force to promote continuous improvement in quality of life for the masses. 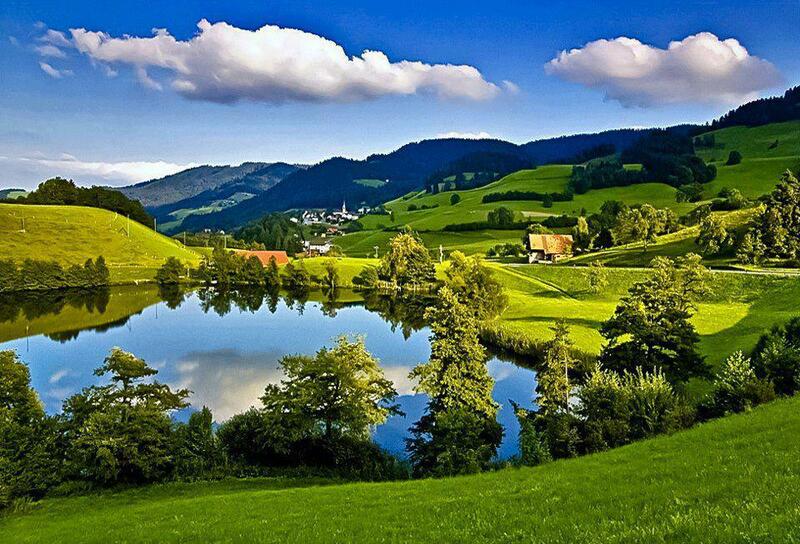 And it would have to remain in harmony with nature and meet the inevitable challenges of a changing global environment.